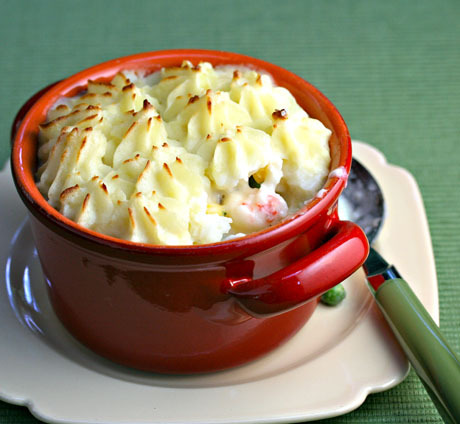 How yummy does this seafood pie from The Perfect Pantry look? I never would have thought of topping shrimp and cod with mashed potatoes but now that I've seen it, it is all I can think of. If you aren't a shrimp or cod person, I bet this would be great with scallops or salmon. Check out the recipe at the Perfect Pantry. Rachel, thanks so much for featuring this recipe today. You're right, of course; salmon or scallops or almost any combination of fish or shellfish would be delicious here. Because, like all pies, it's the "crust" that makes it!